Have you ever bought a book just because you love the cover? Business cards are precisely like that. A great-looking card attracts everyone, they would think you’re smart and your company is totally exceptional among the rest. 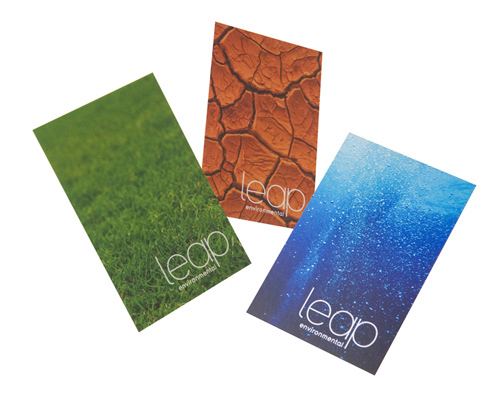 One thing to seriously consider when choosing a business card design is the balance between creativity and professionalism. If you chose to have a photo on your business card, choose an iconic image that would represent your style and your company. 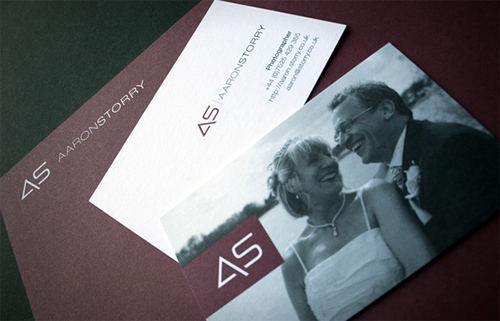 Having a sharp design unto your business card will let your company stand out from other competitors. 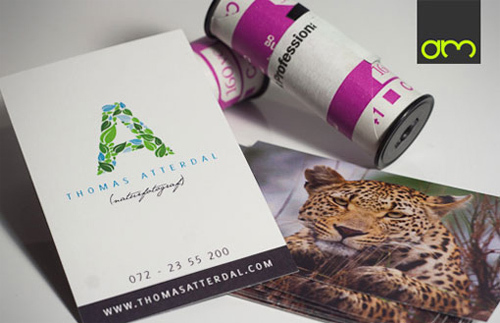 Photography business card design is ideal if you want to personalize your card because it creates a strong visual towards it. Cards with a professional portrait represent a friendly image towards your card and make a person interested to you and your company. 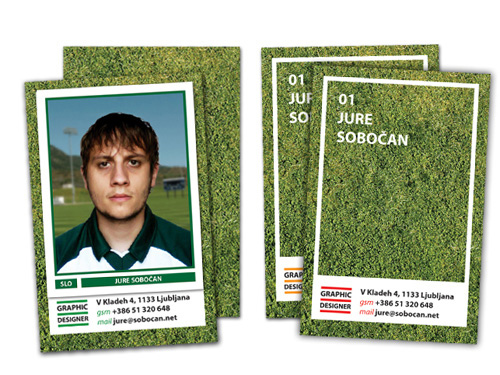 Here are the 36 Examples of Personalized Photo Background Business Cards for your inspiration. Check out this list. A business card with a custom die cut shape printed in matte maco paper. 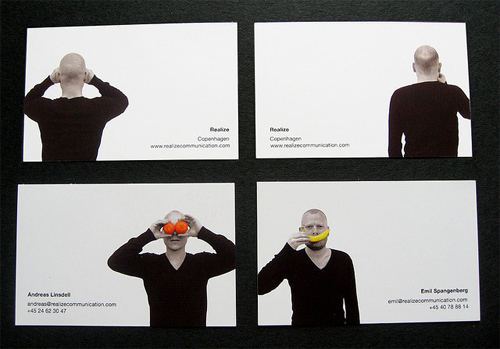 A business card that was made for Realize Communication. 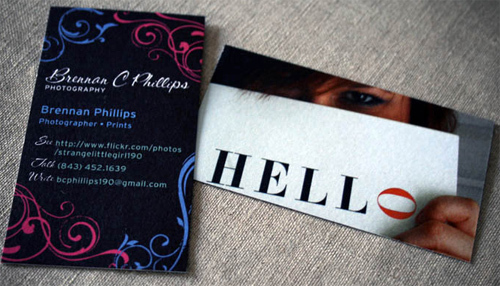 The front part of the business card is a picture of the designer. A letterpress business card printed on the interiors of recycled record covers. 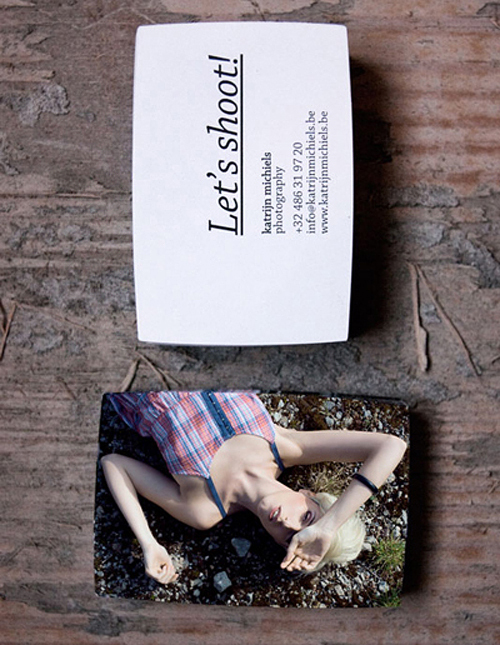 A business card of a Swedish photographer. A logo in a circle format was printed on the front of the card and selected photos on the back of each card. 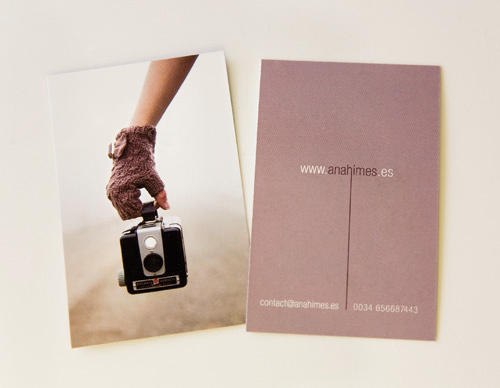 A business card which was designed as a folder to look similar to their website. 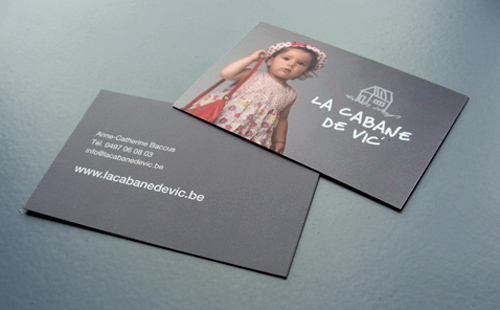 A business card for a clothing company for children from 0 to 10 years old. A picture of a Brownie Hawkeye analogue camera was used on one side of the card. A business card inspired by the World Cup in South Africa. 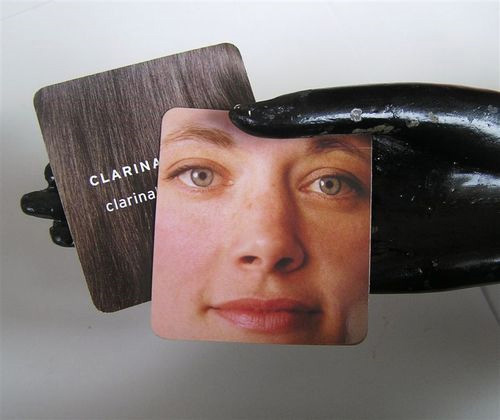 A business card created for a sculptor and performance artist. This card was printed on paper with lamination. A business card which was die cut around the photo so that it forms a mini-popup doll. A business card created for a personal fitness coach and nutritional adviser based in Berlin, Germany. A business card designed for a company who is providing sustainable engineering solutions to the construction industry. A die cut business card of a photo of a cup filled with coffee which is silk laminated. At the front of the card is a photo of each employee of the company. 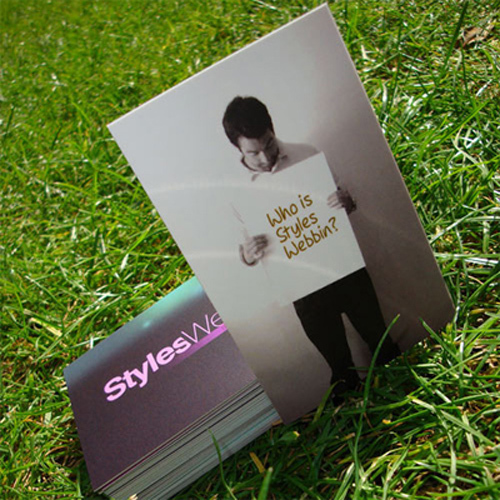 A business card which was created using semi gloss recycled paper in which one of the sides has a printed photo of the designer. 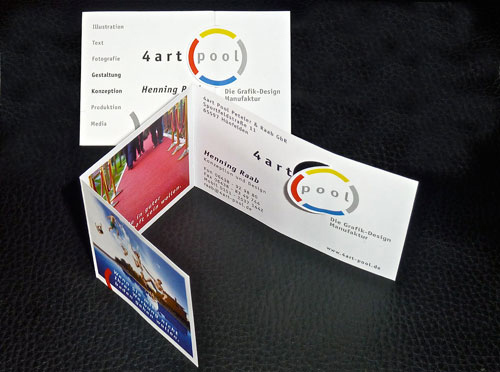 A business card in which a lot of images in 3D are printed on the back of the card. A business card die cut into a standard pill shape. 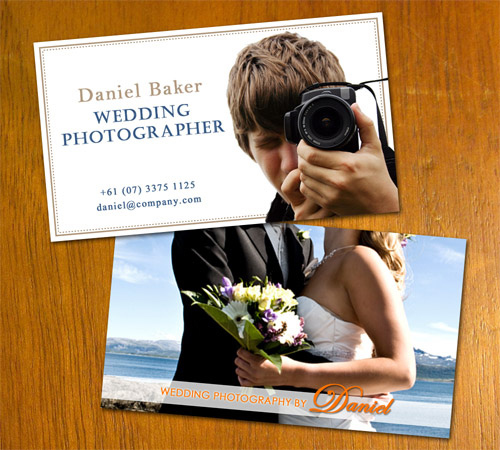 16 pt silk laminated punch out business card for Optimum Fotography. 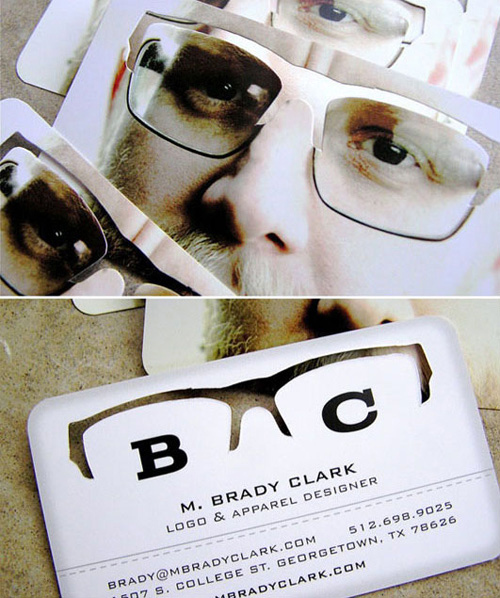 A unique business card with a personal touch which features the signature specs of a designer. 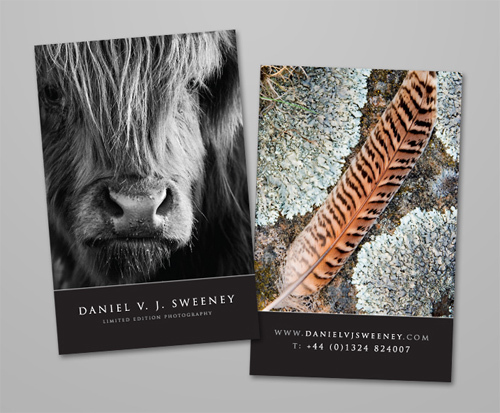 A business card created for Daniel V J Sweeney Limited Edition Photography. 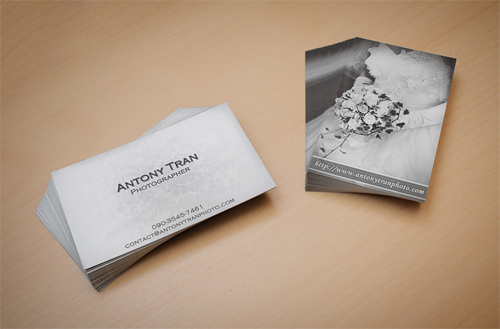 A new business card of Anthony Tran Photo. 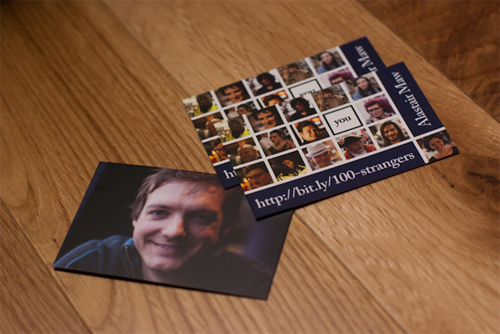 A nice business card design for the 100 strangers project. 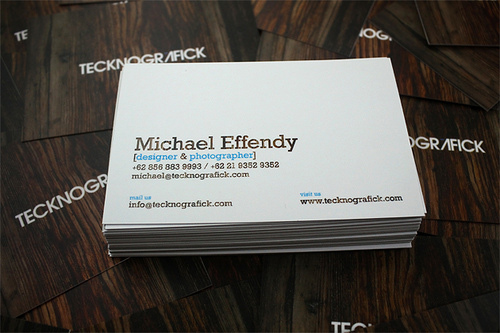 A nice business card created for Michael Effendy Photography. 16 pt matte finish business card. A wedding photography business card. A nice picture of a girl was used in the design to make the card look more light and romantic. 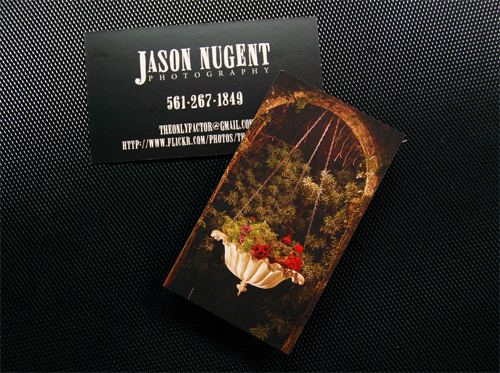 A business card created for a photographer who specializes in weddings/events, portraits, prints and retouching. 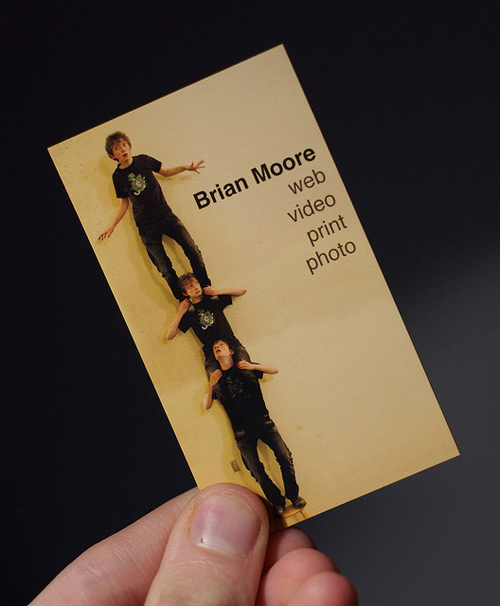 A business card that was created at www.moo.com. 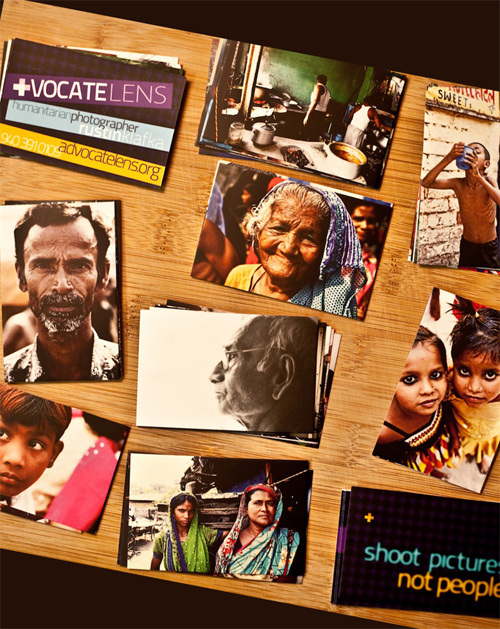 A business card with different images on the front created for Humanitarian Photographer Rustin Klafka with Advocate Lens. 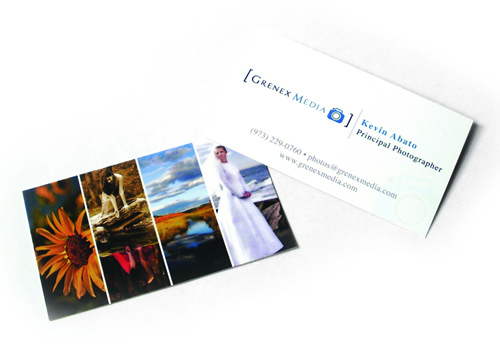 A business card created for Grenex Media. 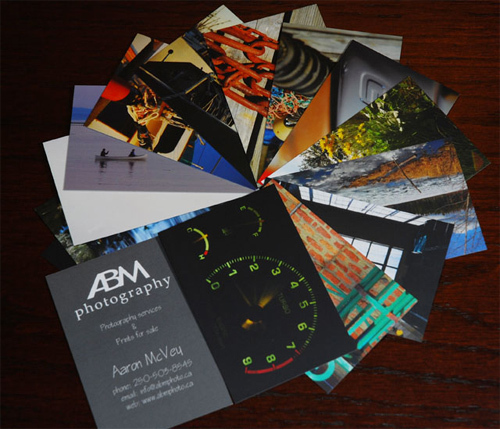 A business card created for ABM Photography in which the photos printed on the cards were taken by Aaron McVey. New business cards from moo.co.uk. 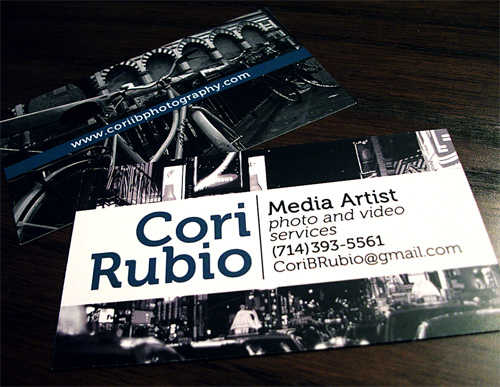 Business card designed for Cori Rubio. 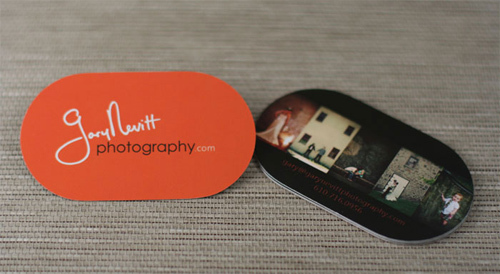 New business cards created for a photographer. My favorites are “Drink Me Creative” and “Realize Communication”. Nice collection! 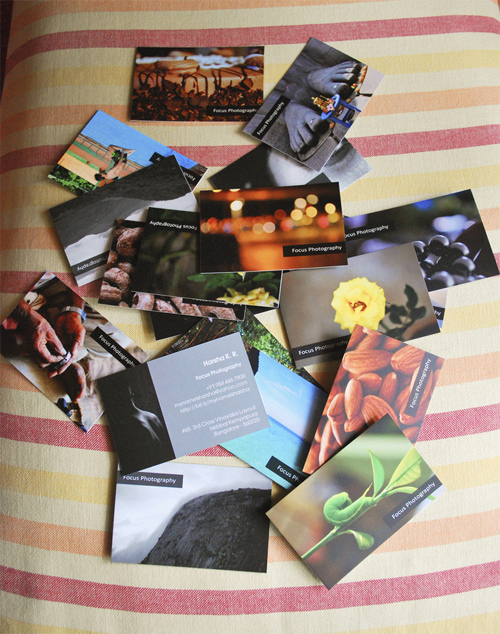 Thank you for the ideas for various backgrounds for business cards, very helpful!